Please leave us a note. 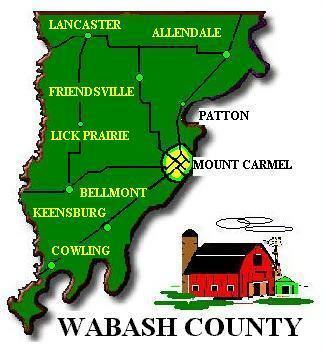 You don't have to be from Wabash County, we want to hear from everyone who visits. Tell us about your selves, your memories, your family news, reunion dates - whatever. Looking for an old friend? Leave a note and he/she just might show up. It has already happened more than once. Click on the cowboy (that's me) to send me an e-mail. Let me know what you think of the web site or just say "Hi" and catch up on old times and old friends. Yesterday is a secret room in your heart where you keep the memories of other years . . . Here you cherish the laughter from another time. Here you listen once again to the melodies of half-forgotten songs . . . Here you keep the stardust left over from a thousand young dreams. It's a memory-box filled with the warmth of old friends, the ribbons from a few races won . . . and the leftover glow of long-gone loves . . .
Yesterdays are extra special days. Tomorrow is a mystery . . .
Today is too much with us . . .
Yesterdays provide a warm and welcome memory of other and younger days . . .
Yesterdays are always happy . . . because only the good memories siphon through the filter of time. Enjoy today . . . look forward to tomorrow . . . but never forget your yesterdays . . .
... and what used to be. All about growing up in the Fifties. "There Used To Be . . ."
I hope you will find something on the website that will bring back a memory and a smile. The Fifties actually began around 1948 and lasted until sometime around 1964. The Fifties was more a state of mind than a time period. Whether you grew up during the 50's or not, Wabash County, Illinois or somewhere else in the world, I think you will find some old familiar friends on these pages. THERE USED TO BE . . .